For Oxbraker, the Busch floweth freely and the Ampeg runneth over. Throbbing bass and lumbering drums do the heavy lifting while drop-C mega-riffs coast to stoner metal glory, all beneath a set of vocal chords thrashed to match the alkaline growl of stoner metal's pioneers. 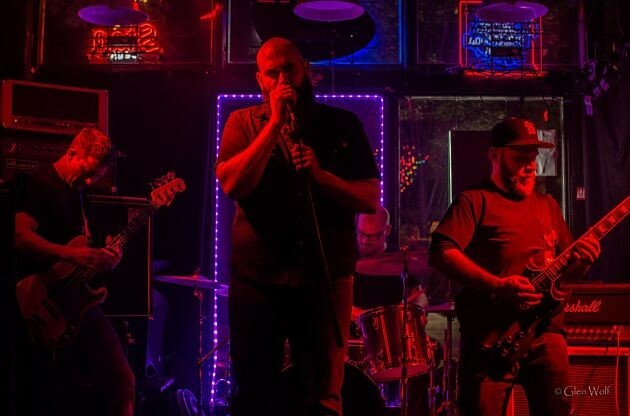 For a hard-working south city metal band, it’s all in a day’s work. High off a newly-released digital album with six barn-burning anthems that take the band's sound to new highs, Oxbraker shows huge promise within a metal scene that is starting to explode. Where local contemporaries play it fast and loose, this quartet takes a huge bong rip and sets the cruise control. Bring earplugs and brass knuckles.